DENVER, CO, January 31, 2008 – Mushkin Inc. (www.mushkin.com), a global leader in high-performance and system specific computer products, today announced the release of the XP-800AP 800W power supply unit (PSU). The XP-800AP provides gamers and enthusiasts with ample power to push multi-CPU and multi-GPU systems to their limits. 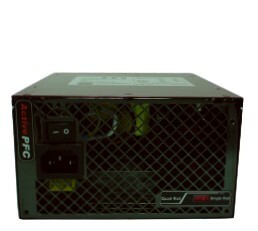 The XP-800AP unit provides a comprehensive set of features including active PFC, 110-240V input, VersaPlug modular cabling, four PCIe cables with 6/8-pin adaptable connectors, user-selectable single +12V rail/quad +12V rail, 900W peak power, thermally controlled 135mm fan, 64A output at +12V, EPS 2.91 support, and industrial-grade components. 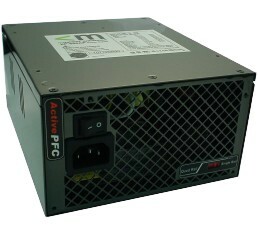 The XP-800AP PSU is immediately available through the mushkin.com web store and authorized resellers and distributors. The unit is backed by a generous 5-year limited warranty and Mushkin’s industry-leading technical support personnel.